Can anyone tell me if there's something I'm missing? try to copy setup file to your harddrive and run it there if not working IDK sorry. I don't have the game, but everything looked fine until the installer tried to create a new folder for the game. It's very possible that you didn't have permission to write there. Have you tried running the installer as administrator? Did you try to go into the folder "data" and run the game.exe or whatever exe is there? You may have to set your system to Japanese local. The error probably appears because your system does not support Japanese. I have the game and I didn't encounter any such error anyway set your "Display Language" to Japanese as well. I did I even run the setup using local emulator is this issue maybe regarding the visual c++ run time library? or the game setup problem ? Full Japan mode look like C:Y like i see you still have C:\ It mean You change (Win7(add Win10) only language not a system settinge. 4?) 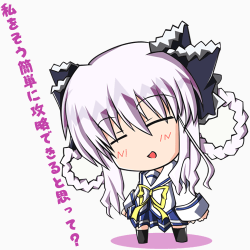 Just doo like me install second Windows 7 or 10 Orginal Japan Version and i dont have any problem witch any Jp games. Or just use VirtualBox - VmWare etc. Just create Virtual Win7 Jp sp1 and enjoy. Last edited by 4yvak; November 8th, 2018 at 12:45 PM.